Tomorrow, a bunch of people will once again descend down to the Capitol building to testify at the buffer zone hearings. None of my family members will be there. It’s not because we don’t want to but it’s because we have real responsibilities. My dad and brother will be around the island in delivery trucks getting the papayas to the customers waiting for their weekly fill. Any delay in deliveries leaves their phones ringing off the hook. I will be at my day job taking care of my residents in need of rehabilitation. I also have to be around to pick up my kids and get homework and baths done. There’s many things to be done on a daily basis. As soon as my dad and brother finish deliveries, they are preparing to pick more fields tomorrow and survey the fields for any diseases and pests. They are also maintaining their trucks and tractors to ensure its in working condition. They can’t afford to stand outside a hearing room for several hours to defend their work as they have done for the last 4 years. Meanwhile, the same activists along with their lead lobbyist, Ashley Lukens, will be leisurely waiting to launch their tirades against the “large corporations” and putting in a bitty clause that it won’t affect the small guys. They do this every single year. Because they have never visited a farm, they know nothing of our locations and the public’s perception of this excessive and misleading fear mongering. Misleading people is Lukens forte and making it cool that others repeat her mantras. If you look closely at the activists there, none of any have t-shirt tans or even the slightest hint of field dirt under their nails or on their shoes. They are all clean and free of the hands in the dirt look but to the politicians, this is the voice of what needs to happen in agriculture. Many non-farmer politicians buy into the emotional stories hook, line, and sinker. If only more people tomorrow would step back and critically examine what’s being asked. 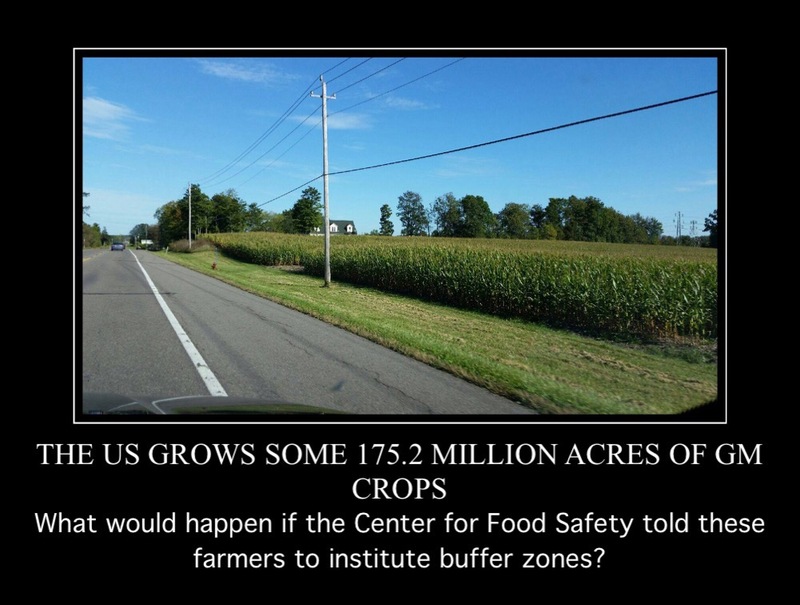 The numbers of GM fields grown in the US is at 175.2 million acres yet Ashley isn’t going to these communities asking for the same buffer zones. Why not if she truly wants to protect people? The truth is out there if one is willing to examine it. Until alternative facts are rejected, the small farmers of Hawaii will continue to suffer being the collateral damage of outside activists. 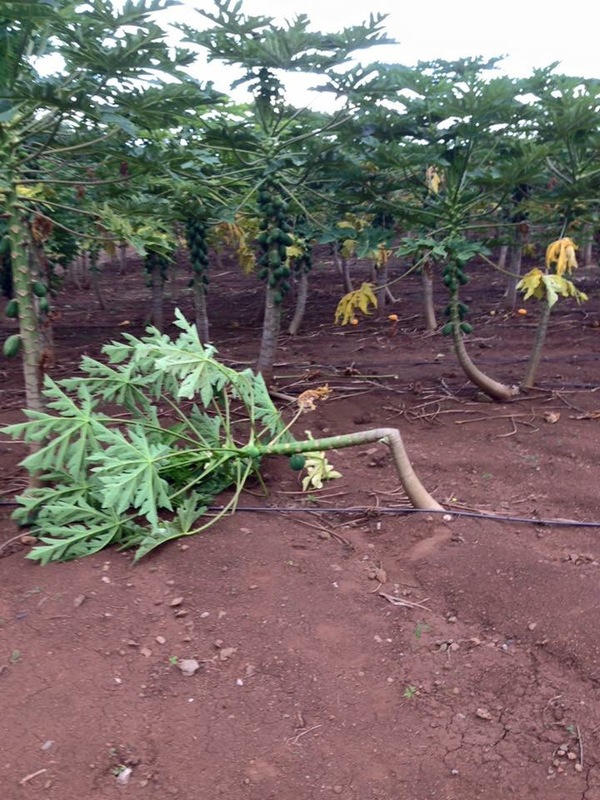 The fear mongering leaves people irrational to the point of vandalizing crops. What happens when farms disappear? The landscape changes forever. As a mom of a 2 year old boy, I sometimes forget that he is capable of doing some pretty disastrous things around the house. He’s been pretty good for the most part while my husband is away, except for tonight. My girls are usually pretty helpful too but that was not the case. I was pretty proud of myself that I had cooked up dinner and was just about to finish washing up the last dish before setting off to bathe the kids. I stopped for a second to grab a Reese’s peanut butter cup before I was going to bathe my two younger ones. They were pretty quiet so I was happy to not hear fighting. Little did I know that the silence meant something very devious going on. As I walked to the bathroom, I saw my Connor standing over the toilet pointing at something and saying, “Look momma! Water!” I thought that yes, water was in the toilet. As I stepped closer, I realized that the toilet was overflowing all over the bathroom with pieces of toilet paper floating gracefully in the swirling water. My calmness went out the window immediately. The entire bathroom floor was flooded with water and it was still pouring out of the toilet with Connor starting to splash in it! I looked at the toilet paper holder and realized that the brand new roll I put on earlier was completely in the toilet! I so wanted to swear and yell but kept to myself to take care of the issue at hand. Thankfully, I had learned a few things from my grandpa on how to fix a toilet. I immediately went to the shut off valve and tightened it. I tapped the handle so that the water would stop in the tank. I fished out all the large pieces of paper as best as I could and started emptying the bowl. My first hope was to take the plunger to unplug it. I tried and tried and nothing was happening other than more obliteration of the toilet paper soup. I knew I needed another tool. I grabbed my toilet auger and spun that wire down the toilet. It took a little bit of time to wind its way to the plug but thankfully, I started to see the water drain down from the bottom of the rim all the way out. After sopping up all the water and drying the floor, it dawned on me that with any problem, we need a variety of tools to fix it. If I only used the plunger, I’d be stuck with no upstairs toilet. I could keep using it but it likely wouldn’t have fixed the issue. By using the auger, that immediately solved the problem. It’s no different with farming where we need a variety of tools available. Without access to these tools, we stand to lose too much. If we discredit the scientists and other available tools, what will we be left with? If I didn’t stick around to learn about the auger, I’d be left with calling Roto Rooter and probably spending a ton of money to fix my toilet. Luckily, I didn’t have to do that because I was equipped with some knowledge and know how to solve my problem. While the anti-GMO forces are once again convening to demonize pesticides, none of these people have any real knowledge about what they speak on or even the know how. When problems are encountered in agriculture, will we turn to these folks to solve it? Nope. Even the politicians like Senator Josh Green and Representative Chris Lee don’t have the knowledge or know how on what it takes to grow Hawaii. They’d be the plunger users who act as if they are solving a problem but only stir the toilet waters getting nowhere. Hawaii needs to have those with real knowledge at the front of farming to lead the way. We need those with extra skills and smarts to problem solve our self sustainability goals. Right now, we have lot of people like Ashley Lukens, Nomi Carmona, and other activists throwing in lot of toilet paper into the toilet and flushing it, only to clog it up. A lesson was learned tonight by my Connor that putting in toilet paper may be fun but it makes for an ugly and messy problem later. Hopefully, this toddler will get it and so will the anti-GMO activists too before they make an even bigger mess than what we started with. It might be fun to protest and play around but there are consequences if you don’t really think about what you’re doing.